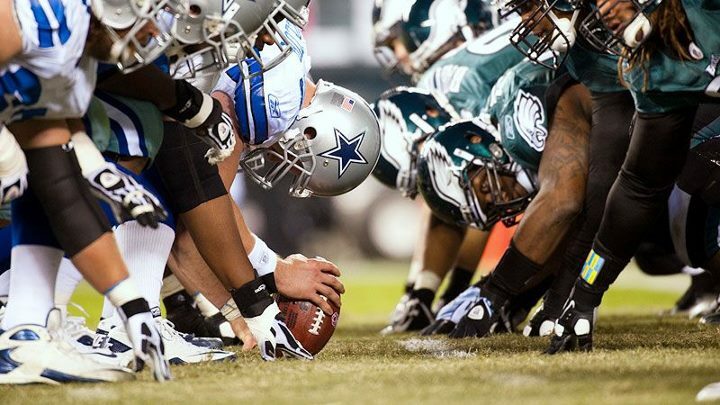 With one rival vanquished for the time being, the Dallas Cowboys seek to take down another this Sunday, as they take on the Philadelphia Eagles at Lincoln Financial Field (1:00 EST, FOX). The game signals the start of a traveling stretch for the Cowboys, who will play four of their next five games on the road. The Cowboys' rivalry with the Eagles is a long and storied one, with the Cowboys holding a 60-47 edge (including playoffs) on their rivals from the City of Brotherly Love. It wasn't so sunny in Philadelphia the last time the Cowboys came to visit, as they took down their green adversaries 38-23 at the stadium known as "The Linc". 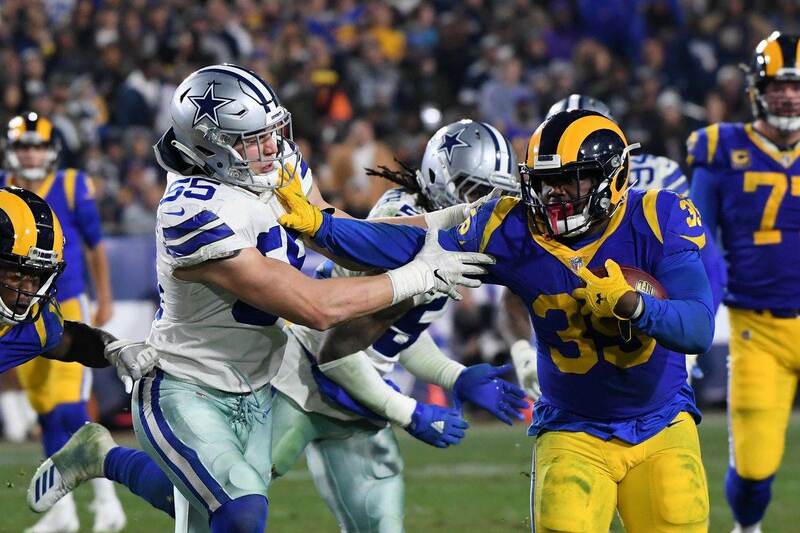 Although the Cowboys fell behind 17-10 late in the 3rd quarter, they took control of the game via a four minute stretch that spanned the 3rd and 4th quarters. On the final play of the 3rd, Tony Romo found Dez Bryant on a 30 yard strike to tie the game. After a Philadelphia three-and-out, Dwayne Harris, last week's NFC Special Teams Player of the Week, gave the Cowboys a lead they'd never give back on a 78 yard punt return to the end zone, the first of his career. On the next possession, CB Brandon Carr scored a 47 yard pick six. The Cowboys would go on to win the game 38-23, out scoring the Eagles 28-6 over the game final 16 minutes. 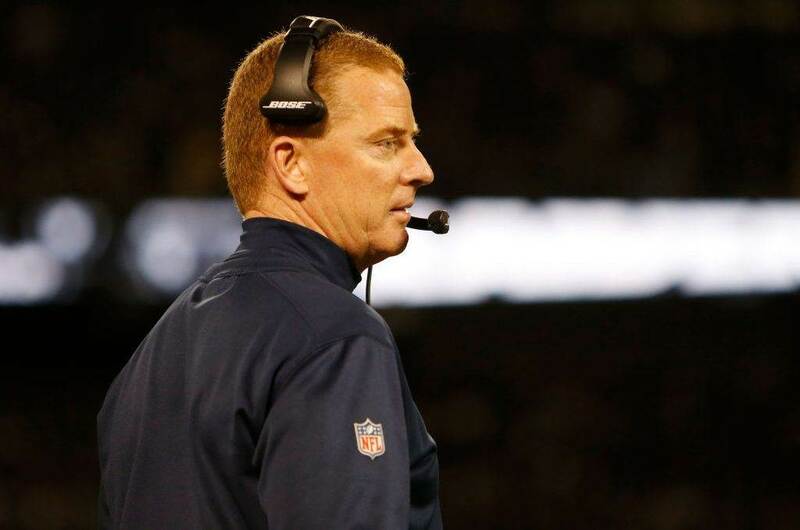 The rematch in Dallas was a back and forth Sunday night affair, taken by the Cowboys 38-33. Dallas had actually trailed most of the game, falling behind 14-3 midway through the 2nd on two short touchdown runs by then-rookie Eagles RB Bryce Brown. By the time the 4th quarter rolled around, the Cowboys still trailed 24-17, but once again took over the game in the game's final act. Romo's 27 yard strike to Miles Austin tied the game, and another Romo touchdown pass, this one to Bryant from 6 yards out, gave the Cowboys the lead for good. CB Morris Claiborne took a Brown fumble 50 yards for another score, one that proved to be important when Eagles PR Damaris Johnson took a Brian Moorman punt 98 yards for a score. Dallas recovered the subsequent onside kick to escape with the win. Romo's three touchdown passes allowed him to pass Troy Aikman for most touchdown passes in franchise history. This season, Dallas faces a Philadelphia team that's vastly different from it's previous incarnation. Surely you've heard of new head coach Chip Kelly's offense, called "revolutionary" one week and a "failed experiment" the next. The Eagles began the season 1-3, but have used a couple of no-win teams (the Giants and Buccaneers) to their advantage. Despite their dreadful strength of schedule (their other win came against the one-win Redskins), the Eagles do seem like legitimate contenders. The Eagles lead the NFL in rushing yards at 178.5 per game, headlined by RB LeSean McCoy. McCoy has already tallied 630 yards on the season (tops in the league), including 116 yards on Tampa Bay last week, his 3rd 100 yard game of the season. The Cowboys rushing game has been hit or miss this season. For every performance the rush defense has had against Jamaal Charles (16 carries, 55 yards) and Alfred Morris (15 carries, 36 yards, not including a 45 yards TD run), they'll have a no show against guys like Danny Woodhead (86 total yards, 2 TD's) and Knowshon Moreno (150 total yards, 1 TD). They'll have to another standout game the defense to stop McCoy, a task all the more difficult with DeMarcus Ware possibly out (originally projected to miss 3-4 weeks with a quad injury, Ware revealed this week he'll be a game time decision). Plenty of names stepped it up on defense for the Cowboys last Sunday night, namely DL Kyle Wilber, who had a key sack and fumble recovery deep in Washington territory, and Orlando Scandrick, who intercepted a pass in the Dallas end zone. While Michael Vick (hamstring) will not play on Sunday, let's face it, QB Nick Foles, who will face the Cowboys for the third time in his young career, isn't that bad. In the first meeting, Foles, seeing his first ever NFL action after Vick went down with an injury, threw the key interception to Carr, but had a solid performance (22-32, 219 yards, 1 TD, 1 INT). He was even better in the second meeting, going 22-34 for 251 yards and 1 TD in his third career start. He's also coming off probably the best game of his career against Tampa Bay, going 22-31 for 296 yards with 3 TD's (good for a career high 133.3 rating). He also has yet to throw an interception this season, so it's imperative that the secondary cause some turnovers. The defense looked spotty against Washington (allowing 433 yards), but there was a key difference between the Denver loss and the Washington win. Whereas in the Broncos game they failed to force Denver into punting even once, the Cowboys forced Redskins P Sav Rocca to send it off three times. With a returner like Dwayne Harris, that's extremely important. In addition, when the Redskins did get into Cowboys territory, they were mainly forced into Kai Forbath field goals rather than Robert Griffin touchdowns. With the obvious exception of his historical performance against the Broncos, Romo has been held to a conservative approach so far this season. It's been mostly successful for the most part, as Romo's turnovers have seen a dramatic decline, but the loss of DeMarco Murray, ruled doubtful with an knee injury, means that Romo will have to put the team on his back this week. If Murray misses the game, the remaining options aren't pretty. 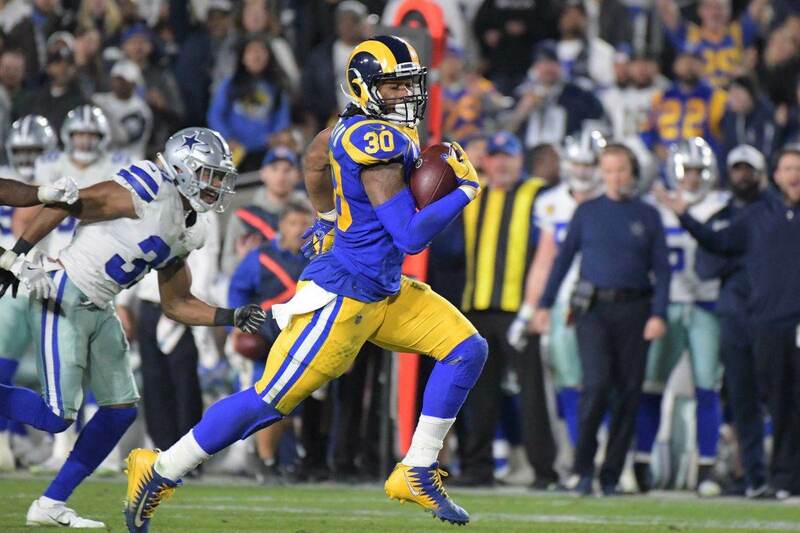 Rookie Joseph Randle had a touchdown last week, but other than that was very unimpressive (11 carries, 17 yards), while Phillip Tanner wasn't exactly eye-catching when Murray got hurt last year (25 carries, 61 yards in 2012). Romo has played some of the most important games of his career against Philadelphia, and the results are polarizing. Sometimes he'll look amazing (23-35, 244 yards, 2 TD's in the 2010 NFC Wild Card game, a 34-14 win), and other times he'll look dreadful (21-39, 183 yards, 0 TD's, 1 INT, in a 44-6 season ending loss that cost the Cowboys a playoff spot). Obviously, with Murray out, Romo will be called upon for increased production in a game, despite being played before Halloween, that could have major playoff implications. Obviously, any win over the Eagles is a big win. But a win here would be huge for the 2013 Cowboys. If the Cowboys seek to return to the playoffs since that magical three game sweep against the Eagles in 2009-10, they're going to need more wins. Since that mini-playoff run, the Cowboys have had difficulty stringing together consistent winning streaks, indicated by their twin 8-8 records over the past two seasons. As I mentioned last week, moral victories are fine and all, but the NFL doesn't count those toward making the playoffs. Philadelphia's increasingly soft schedule (a trip to Oakland follows a rematch with the Giants next week) only increases the need to beat the Eagles now. With the state of both defenses, (Philadelphia allows even more yards per game than the Cowboys) this game will likely end up being a shootout. And if that happens, I'm going to trust Tony Romo over Nick Foles right now, thank you very much. Jace Amaro the Best Tight End in College Football?